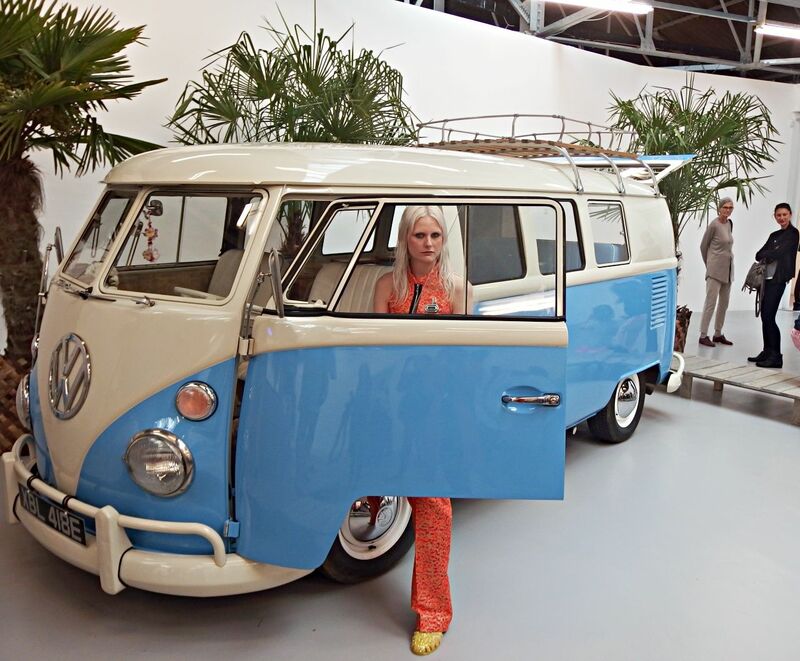 The second day of London Fashion Week saw me attend the presentation of one of my favourite designers, Markus Lupfer. I absolutely love how his clothes are fun and quirky and very my style. For SS15 yet again, the RTW collection didn’t disappoint. 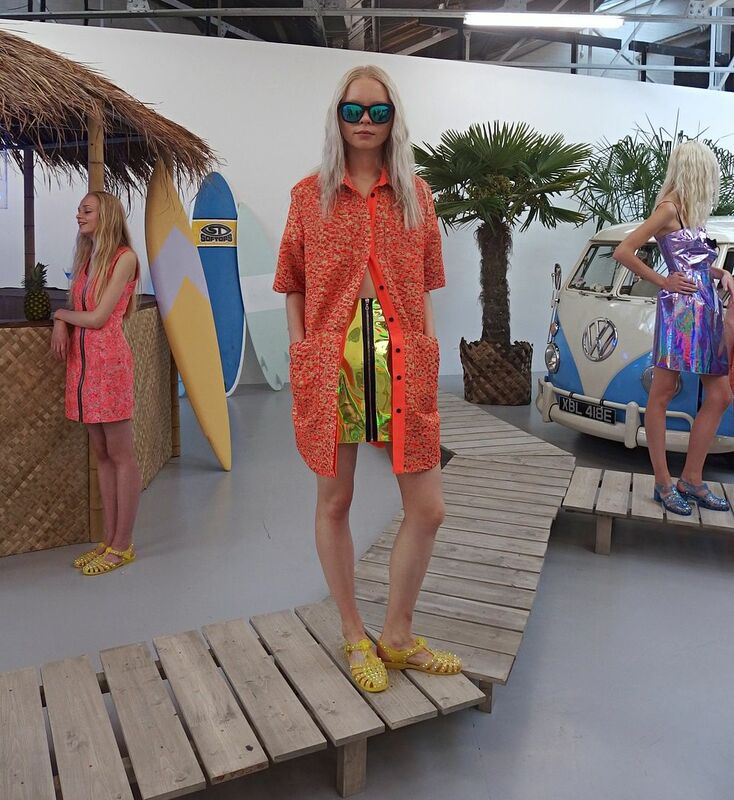 The models set the scene in a laidback setting, which saw a tiki hut, surfboards and camper vans for a beach surfer chick feel. However the only thing particularly beach like about the clothes was the brightly coloured gem stoned jelly shoes! I loved the bright colours and metallic prints, especially on the green jacket and shorts set. 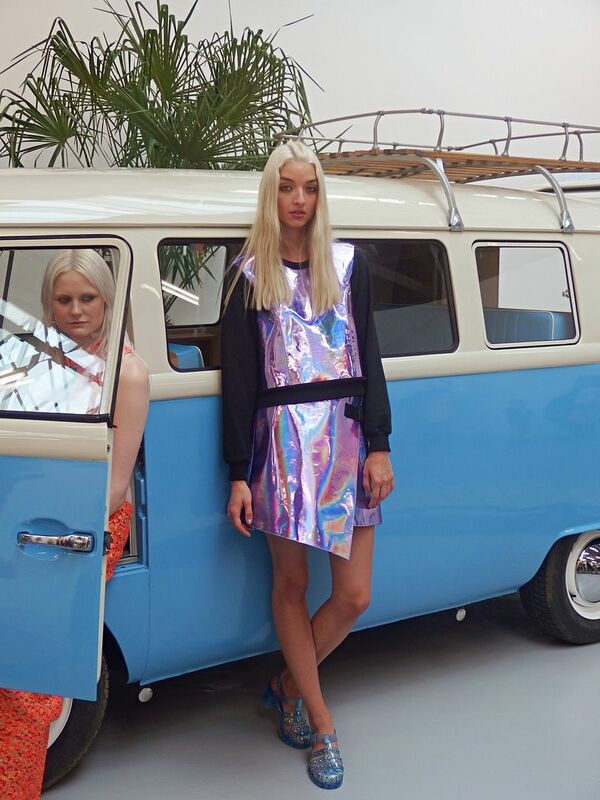 But it was the purple holographic dress, sweater and asymmetric skirt that stole it for me, just brilliant. 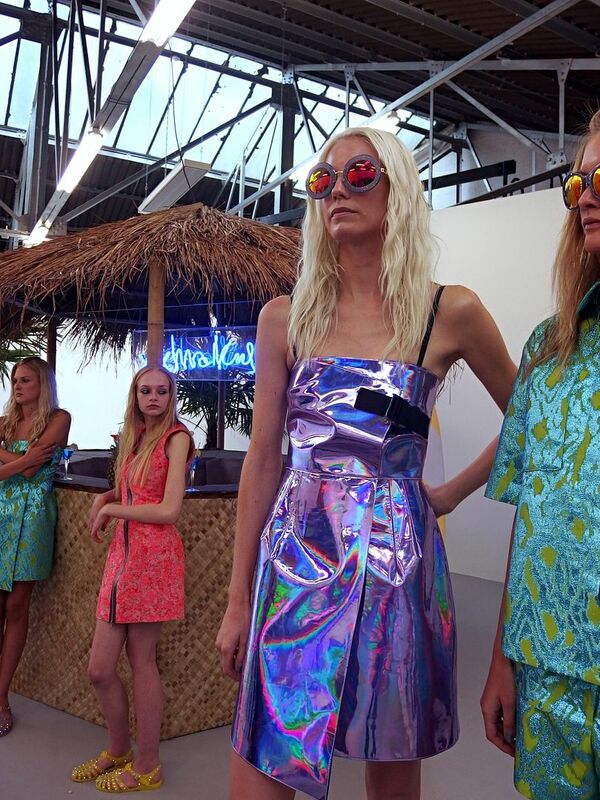 Make sure you grab yourself some mirrored sunglasses and you are already on your way to next summer!